In 2016, a staggering 80 percent of consumers turned to search engines before purchasing a product or service. That’s true in the legal market too. Potential clients are searching for knowledgeable attorneys at reputable law firms to handle their cases, and referring attorneys and in-house counsel are searching to confirm credentials and experience. Ultimately, users and search engines are looking for the same thing – authority and expertise in a particular practice area. Google looks at a lot more than keywords and links to determine how information is ranked on a page. Today, more than 200 factors are considered before search results are revealed. Even though the world of search is constantly evolving, there are a few search engine optimization (SEO) trends for 2017 that will help increase your firm’s visibility in search results. Google’s search algorithm is updated more than 600 times a year, but there have been two major updates that have redefined what it takes to rank on page one: the mobile-friendliness of websites and the use of RankBrain, Google’s artificial intelligence system that sorts through its search results. In addition, one of Google’s biggest updates in the last year had nothing to do with their algorithm, but it did have implications for search engine results. Google removed paid ads from the right-hand column of search results. This update resulted in four ads (formerly three) appearing above organic results on desktop and nearly doubled the ad copy allowances on mobile and desktop. One of the most significant advancements from Google is RankBrain, its machine-learning artificial intelligence system. This system analyzes search results to better understand the meaning and intent behind each search. The goal is to inform the algorithm to “think” more like people, and less like a computer. This learned knowledge allows Google to interpret search queries as a whole, and rely less on the individual keywords. With the addition of RankBrain, Google moves one large step closer to fulfilling its original mission to develop a search engine that understands exactly what you mean and gives you exactly what you want. RankBrain is now considered the third most influential ranking factor for search, behind links and content. The tipping point for mobile search happened two years ago, when there were more mobile searches than desktop searches for the first time. This continuing trend has led to a shift in the way businesses approach websites – you should be planning for “mobile first” and desktop second. Google is now testing a mobile-first index. This means a website’s ranking would be determined by its mobile performance, rather than that of its desktop version. Last year, Google announced an intermediate step in which mobile-friendly websites would be rewarded in search results. The best way to optimize for mobile devices is to build your website responsively. This means content and images automatically rescale to display optimally on any device. Shockingly, one in four websites has not been designed for the growing mobile audience. Does your website pass the mobile-friendly test? In addition to the mobile-friendliness of your site and the improved interpretations of your search queries using RankBrain, the following elements will play a large role in determining whether your website appears on the first page of search results in 2017. Quality links – Despite efforts to remove dependence on links, Google still values high-quality links that are created organically. In most cases, it’s better to get a single link from an authoritative page than 100 links from 100 low-quality pages because of the authority one quality link can have. Content – Make sure your content provides valuable information to the user. On small mobile screens, long paragraphs can overwhelm users, making it difficult to find the answer they are seeking. Use bullet points and other emphasis elements to make your mobile content more scannable. Engagement – Lower bounce rates, higher page views and longer time-on-site metrics are all indications that users are engaged with the site and find your content valuable. This user-generated data informs Google that the site content is valuable and relevant. Title and URL – The title and page URL are the most important on-page ranking factors. Make sure they’re descriptive, but keep them as concise as possible. The title limits for Google search results are 70 characters on desktop and 78 characters on mobile devices. Keywords – With improvements such as RankBrain, Google is smarter about what pages mean by relying on related keywords, synonyms and close variants, without adhering to exact keyword phrases. Matching the user’s intent is the goal. Anchor text – Linking to additional information using anchor text is a common feature of high-ranking results. These links give users the ability to learn more about a specific topic and provide context to Google. As an example, anchor text is often found in news articles. Site speed – With the rise in mobile search, visitors have less patience for slow websites. The load time is now taken into account for search results. The average load time for page one results on Google is 1.10 seconds. One way to speed up load time is to optimize images for use on digital platforms, rather than uploading large-scale print files. Social – Although Google doesn’t use other social content directly in its algorithm, there are many secondary SEO benefits that are factored in. Images – Including an image with an appropriate title and alternative text has a positive impact on search engine rankings. However, including two or more images doesn’t appear to have a greater effect. Be sure to include one relevant image on each page. SSL/HTTPS – An SSL certificate provides a layer of encryption to your website and authenticates your identity to visitors and search engines. Sites with SSL certificates will be rewarded in search rankings compared to non-secure sites. 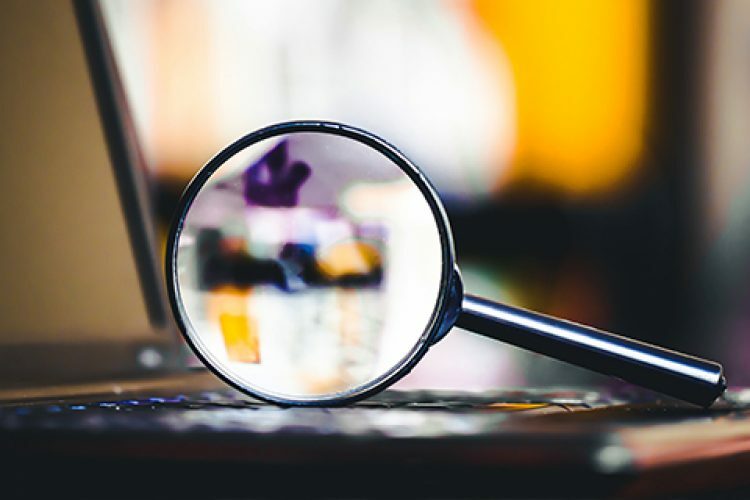 Law firms and other service industries are held to a higher quality standard in search results because the nature of the content needs to be factual and trustworthy for users. Certain ranking factors such as having an SSL certificate, relevant content and quality links will be even more important for law firms. Whether it’s the quick page load time, an intuitive design or the relevance of the content, the ranking factors in 2017 are focused on providing a positive user experience. It doesn’t take a complicated algorithm to appear in search results, but you need to know your users and be the answer for your area of expertise. A lot of science and data goes into determining the first page of search results, but ultimately it comes down to providing the best answer for users. If your website meets the technical requirements and you consistently provide valuable information for users, then your website will be rewarded with higher search results.